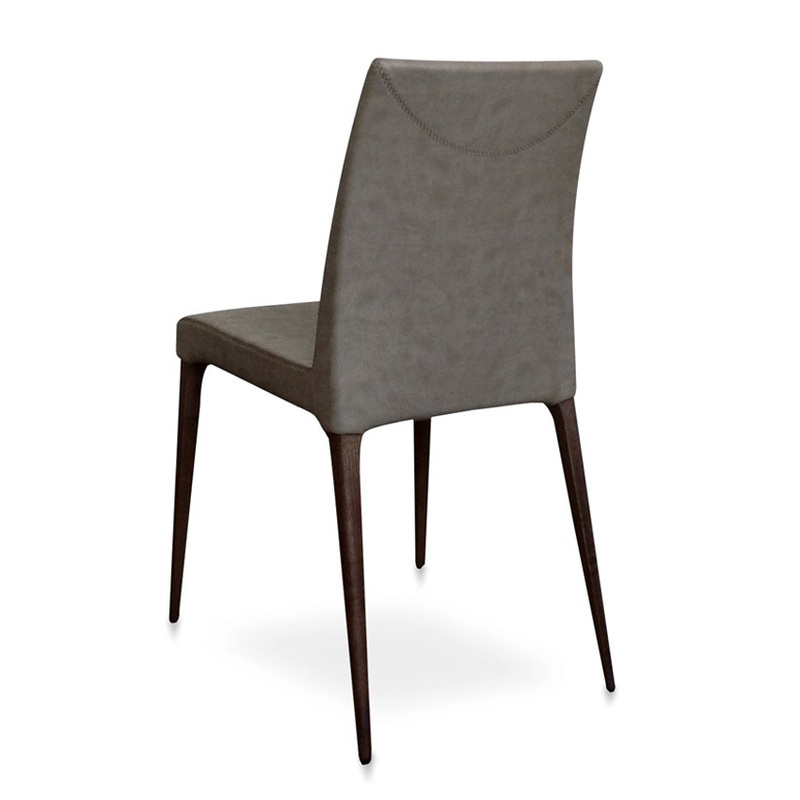 An elegant and graceful dining chair with a highly contemporary feel. 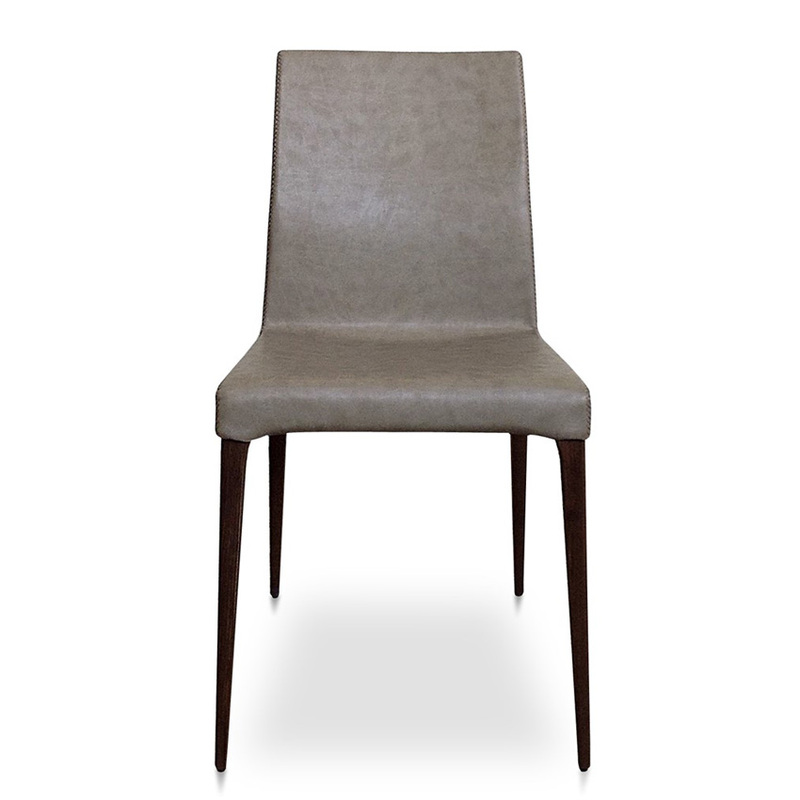 Built with a wooden frame, generously padded and upholstered in a variety of fabric, leather and synthetic leather. 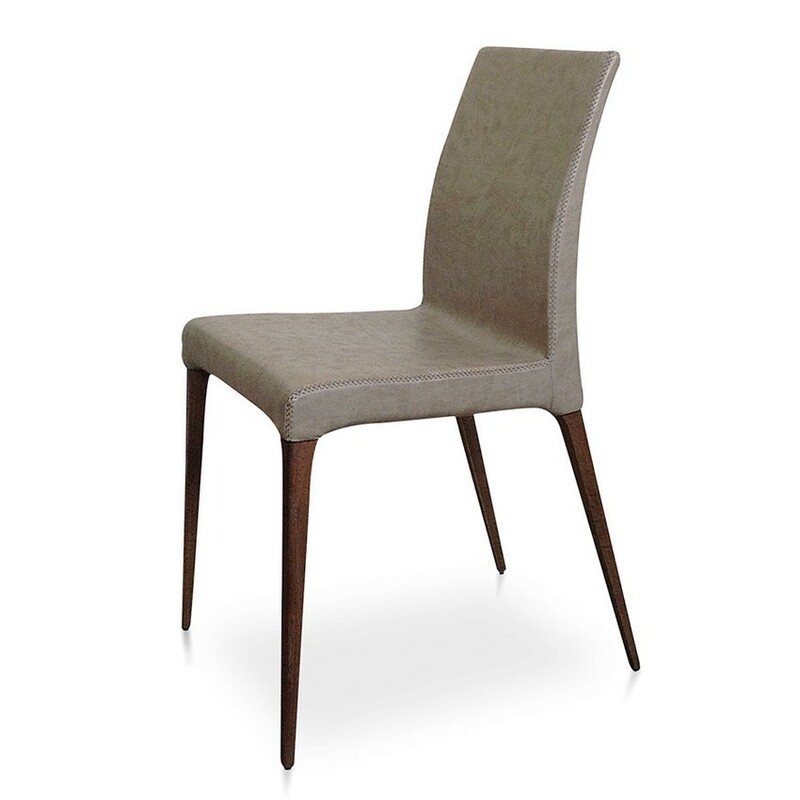 The legs are available in a choice of wood stains.